"Enabling Love" traces Tom Kirlin’s long journey toward a deep understanding and empathy for the poetry of William Meredith. It is an appreciation based on years of friendship between the two poets in a format that is as complex as the mind of Meredith himself. The award comes during the centenary year of Meredith's birth and is only one of a number of events celebrating the life of this great American spirit. Uncasville, CT, January 09, 2019 --(PR.com)-- The William Meredith Foundation is proud to present the 2019 Award in Poetry to Tom Kirlin of Washington D.C. The award has no application process, but comes to the author unsolicited in the spirit of generosity that informed William’s interactions with the world of poetry when he judged competitions and supported new talent. The Meredith Award is only one of the artistic projects supported by the foundation to continue the legacy of this great American spirit. This award is particularly apt because it celebrates the centennial of William Meredith’s birth in “the Year of William Meredith.” Other projects include a retrospective exhibition, Nancy at Ninety at the American University Art Museum, a memorial calendar, tribute articles in Poet Lore, and poetry readings around the country including a special weekend event at Connecticut College during National Poetry Month (April 11, 2019, 4:30 p.m., and Friday April 12, 2019, all day,) and the launching of this award as well at the Valentin Krustev Award for Translation presented by Bulgarian Ambassador Tihomir Stoytchev during the Frankel exhibition on February 6, 2019. William Meredith’s was an extraordinary life. Poet, arborist and beloved teacher at Connecticut College for nearly 40 years, poetry, trees and students were his major preoccupations in life. 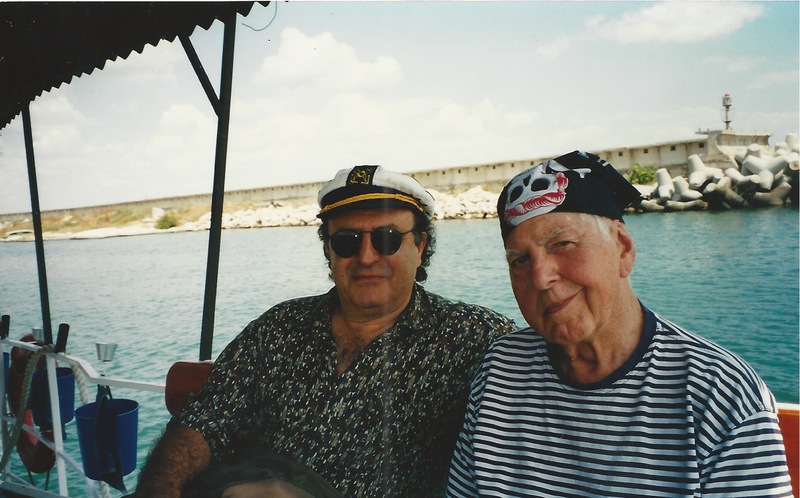 He served as a Navy pilot in WWII and Korea (“I’d respect you for that if for nothing else,” Robert Frost told him once when William described the thirty-two night landings he made on an aircraft carrier during the war.) Meredith was awarded the Pulitzer Prize, the National Book Award and the LA Times Book Award, all of which came after the challenges of a major stroke, and his work has received many additional American and international awards. In 1996, he was accorded Bulgarian citizenship by President Zhelu Zhelev for the bridge he created between our two countries. “If Poetry were landscape, Meredith would be a National Park,” William Matthews once said of Meredith’s poetry. "Enabling Love" traces Tom Kirlin’s long journey toward a deep understanding and empathy for the poetry of William Meredith. It is an appreciation based on years of friendship between the two poets in a format that is as complex as the mind of Meredith himself. Like an exquisite jigsaw puzzle or crossword, Kirlin plays with language through puns, synecdoche, broken word fragments, and provocative enjambments to give heightened meaning to Meredith’s poetry. The style is challenging, but worth the effort as we follow Kirlin’s exploration and the loving attention he gives to his colleague in the art. It is a fitting centenary tribute to a poet who has been described as a national treasure and lucky inheritance. We are equally lucky to have Kirlin’s intense magnifying glass, enabling love. "Enabling Love" includes a number of paintings by world-renowned artist Stoimen Stoilov. Soilov, like Kirlin has been a friend of Meredith and the foundation for decades, always willing to provide his extraordinary art for publication projects. They are honored to have his exquisite work to augment the winning manuscript. 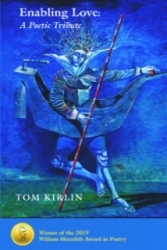 Tom Kirlin won the Larry Neal Award for Poetry. He also received a grant from the District of Columbia Commission on the Arts and a fellowship from the National Endowment for the Humanities for post-doctoral studies at Yale University. Kirlin taught at the University of Wisconsin-Madison before moving to Washington, D.C. Here, he worked for several decades on energy, environment, science and technology policy issues, including the UN climate negotiations that led to the Kyoto Protocols. He later served as Vice President of the Center for the Study of the Presidency, a non-partisan group he helped rebuild as a staff and Board member. Following a summer at Bread Loaf, the Little Red Tree Press published his first book of poems, Under the Potato Moon, in 2013. Other poems have appeared in Hungry as We Are, The WPFW Poetry Anthology, and Cabin Fever. His wife, Katherine, and he helped celebrate the Smithsonian Institution’s 25th Folklife Festival by collecting and authoring the Smithsonian Folklife Cookbook.